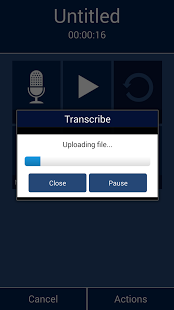 Please Note: The “d2u Transcriber” app is free to download, we offer a 5 minute free trial and then charge £1.55 per audio minute for transcription. The “d2u app” combines a world-class voice recorder with one of the world’s top transcription services to provide you with the best dictation and transcription solution available. Record, edit and upload a digital recording then have the file accurately and efficiently transcribed to text anywhere, at anytime. All you need is an Internet connection. It’s easy to use, yet safe and secure. All users can use the d2u app to record and edit audio files, but to use the transcription features of this app, you will need a d2u account. You can register for an account inside the app or request one by emailing appsupport@dictate2us.com. d2u is one of one of the world’s top transcription companies. We have over 65,000+ regular users of our service. Founded in 2002, we have unparalleled experience in the transcription industry. We employ specialists for different business sectors ensuring greater quality and accuracy for the benefit of all categories of customer. Our typists are located in our offices and they have no means of removing data from their machines. All typists have signed confidentiality agreements. We are fully Data Protected to the highest level with the Information Commissioners Office in the U.K. Our registration number is Z189181X. The d2u app supports 256 bit encryption for added security, whilst uploading your audio files to our secure server, using an SSL encrypted certificate on the web server. Please feel free to request a copy of our I.T security policy. We will transcribe the file into a “Microsoft Word Document Format”, (or if supplied, into users’ own templates), and it can be retrieved from your personal and secure d2u account page. Documents can be returned to the originating email address, by simply changing the settings in your account. -less than 5 minutes, d2u will endeavour to return your completed file(s) back within 60 minutes. -more than 5 minutes, your completed files will be returned within 24hrs. The d2u app is FREE to download and make recordings. We charge for each audio minute transcribed rather than per word, line or time taken to type, that way users know exactly what the cost will be before they send us the work. Our charges are totally transparent. It is important to recognise that people dictate 3 to 4 times more quickly than they type, (and approximately 7 times more quickly than they write), so a 10-minute dictation could take 30 to 40 minutes to type. With d2u you only pay for 10 minutes whereas with a typist you would pay for the 30 to 40 minutes. The price is £1.55 (including 20% VAT) per audio whole minute. You can pay for credit using your debit/credit card or PayPal account. Record, edit (overwrite and append) and review audio files. Fast forward, rewind and scrub audio files. Manage and categorise audio files. Access your d2u account to check remaining credit balance and see completed documents. Pause and resume uploads to the dictate2us secure server. File compression, reducing data used to send audio files for transcription. Check the status of files (being transcription, being edited, being proofread). Free storage of all audio and transcribed files unless otherwise told to delete for 30 days. 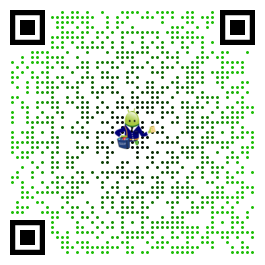 Great little app! Just like having a secretary in my pocket! Nice app!!! I use this app to transcribe some files – pretty straight forward to do. Got them back within the hour. Very impressed with the typing. Many thanks! 1 hour turnaround of my letters and reports Fantastic app and service! Fast turnaround of dictation! Dictate2us typed my letters in my letterhead within 1 hour, very impressed. Use the free trial they offer for free first, you won’t be disappointed.